Overview: In Depression-era London, a now-grown Jane and Michael Banks, along with Michael's three children, are visited by the enigmatic Mary Poppins following a personal loss. Through her unique magical skills, and with the aid of her friend Jack, she helps the family rediscover the joy and wonder missing in their lives. Nowhere as charming, wonderful or mesmerizing as the original and falls flat in what matters most: uninspired music, a lead actress that was a bit too stiff in the role (sorry Emma Blunt) and an ending that was too neatly tied and if the characters had a brain, none of the dilemma they face would have happened. 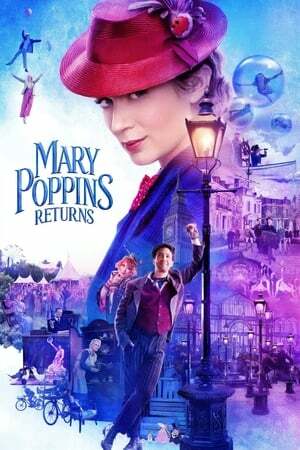 The script was just lazy, unimaginative and an insult to the original Mary Poppins. The best part of the movie was Meryl Streep. Her number was vastly enjoyable and I guess if push come to shove, the kids were okay.